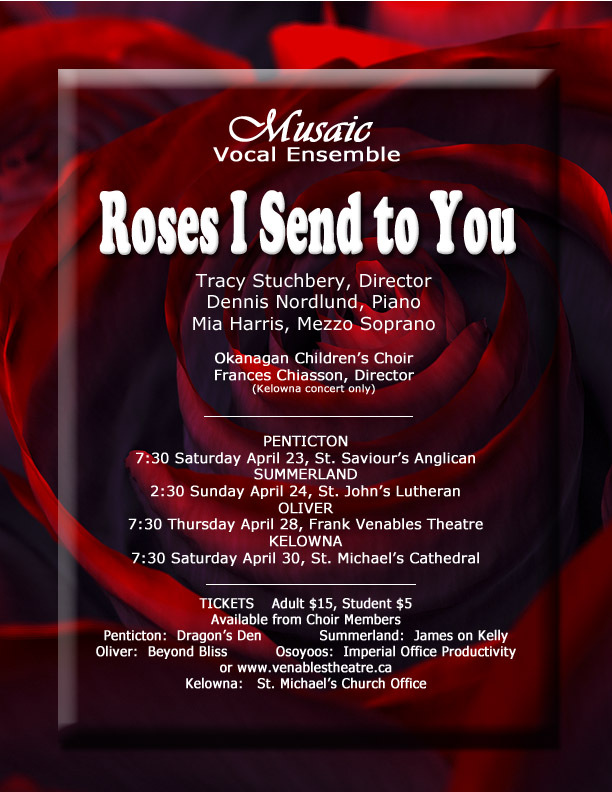 Musaic Vocal Ensemble of Summerland B.C celebrates twenty-one years of bringing the joy of choral music to the South/Central Okanagan Valley of British Columbia! As the group has grown and changed over time, they have been fortunate to attract Okanagan singers from Oliver to Kelowna, who without fail, bring great energy and voice. Under the Musical direction of Tracy Stuchbery, this spring programme offers a delightful repertoire, that both challenges the choir and pleases the audience.